Business Transformation has sparked attention across industries and their leadership for a long while now. Stifling competition, financial crises, innovation, attrition, disruption, and declining results are some of the common causes of organizations embarking on accepting this challenge with a rekindled resolve. Some companies initiate programs to trigger improvement in one or more function, while others try an incremental approach, but both often end up bringing unwarranted outcomes. The scenario dictates an organized Business Transformation approach to manage the challenges of today’s business environment and to sustain in future. A "Fit" organization is one marked by Strength, Agility, and Leanness. It is a framework to assure practical short-term and sustainable results. Fit Transformation--although complex--is highly manageable when performed by experienced practitioners. It undertakes a detailed understanding of industry dynamics and a company's strategic challenges, ensuring that the transformation covers everything that is required. 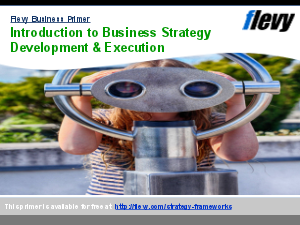 It requires a deep understanding of how the various departments of a company function, and devises a plan to reach the desired future state. The framework makes the workforce an active participant in identifying the challenges, discussing the desired outcomes, and putting them into practice.